UPDATE: Oh dear! I guess I have to apologize to Faux Vinnie for underestimating her relationship with her PR clients. And overestimating her PR clients ability to not leak RHONJ news to Faux Vinnie. It looks like others have confirmed RHONJ Season 8 will be delayed. Oh my goodness! Faux Reality has been so busy with real reality lately! 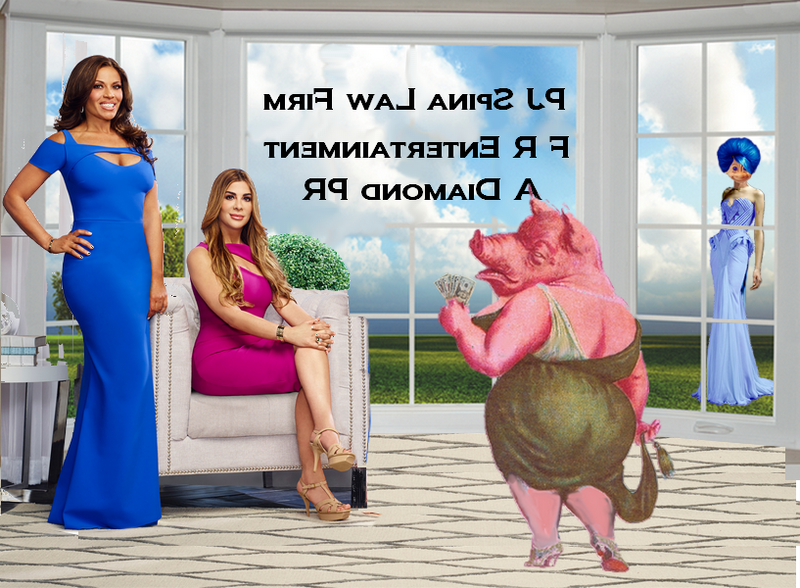 Of course with the next season of RHONJ just around the corner, Faux Reality has been busy promoting her clients, Siggy Flicker and Delores Catania with her new public relations business, A Diamond PR. But last night Faux tweeted from her @FauxRealityM account that the next season of Real Housewives of New Jersey would be delayed and that someone on the show was fired! Nope, that was Fake News. Inspired by disinformation from Faux's frenemy, Jac, or else just a drunk tweet after one too many martinis. There isn't any confirmation for Faux's claims to be found anywhere else on the internet or in the real world. After that tweet Faux locked up her account. Out of embarrassment I imagine. Also yesterday was another hearing for the harassment charge Faux filed against me. Of course IRL Faux Reality is Vinnie Leonelli-Spina, a disbarred lawyer who has been practicing law without a license using the stolen identity of Antonella Mollica. The morning after I published a post outing Vinnie as Faux Reality, Vinnie filed charges against me claiming I was harassing her by exposing her as a disbarred lawyer practicing law without a license using the stolen identity of Antonella Mollica. In her complaint, Vinnie accused me of being several people, including Grace Alexis of the Queenz Of Media blog, which is crazy but she needed to make her complaint sound juicy. Vinnie was also very upset with me for making "outlandish accusations"... like that she's been practicing law without a license using the stolen identity of Antonella Mollica. Anyway, there was another hearing on her complaint yesterday which makes the 3rd hearing so far and, once again, the hearing was rescheduled. This is supposed to be a pre-indictment hearing to decide whether I'll be charged with a felony, a misdemeanor, or if the charges will be dropped altogether. The continuous postponements show how very seriously the state of New Jersey is taking Vinnie's allegations of being harassed. I guess part of the reason for the recurring postponements is the investigation into Vinnie currently underway by the Prosecutor's Office. It seems the Prosecutor's Office is investigating Vinnie for practicing law without a license using the stolen identity of Antonella Mollica! Also, yesterday marked just 13 days left in Discovery for the lawsuit against Vinnie filed by the New Jersey Lawyer's Trust. The lawsuit began a year ago to recover over $300,000 the lawyer's trust paid out to Vinnie's clients. This $300,000 is not to be confused with the $978,000 she owed when she was disbarred. Nor should it be confused with the several hundred thousand dollars Vinnie and her husband, Patrick, owe from the lawsuit they lost to their former partner earlier this year. No, The Lawyer Trust paid this $300,000 out to reimburse clients whose money Vinnie misappropriated before she was disbarred. You know, back when she was a lawyer with an actual real license to practice law. Back before she started practicing law without a license using the stolen identity of Antonella Mollica. Discovery ends on July 19th and after that, a jury trial for Vinnie is supposed to be set. I hope there won't be any scheduling conflicts between her jury trial and her court hearings with me! It's too bad Antonella Mollica isn't real, with Vinnie's attorney husband involved in his wife's shenanigans up to his greasy hairline, Vinnie is going to need a lawyer, even a Faux one. 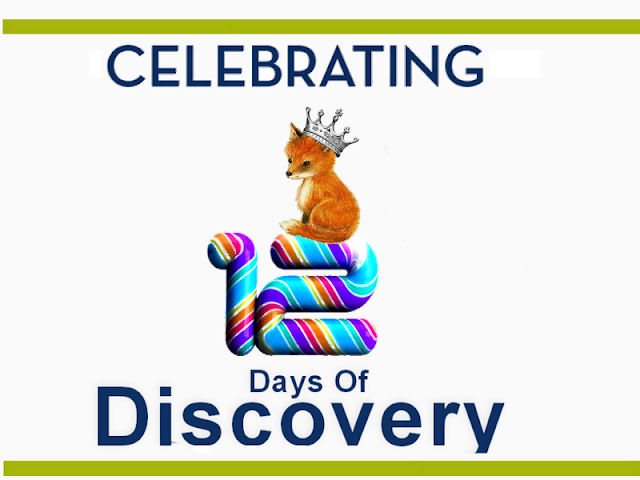 Now there are only 12 days left in Discovery. Do NOT link to the Faux Reality site in comments on this blog for any reason.